Spring is just around the corner – and thank goodness – as most of us will be looking forward to warmer months ahead. There’s still time as always, however, to look back to the past – to take a peek at what we’ve been through these past few decades, centuries and millennia – so get ready for another trip through time as we look at some of the interesting moments this week has for us across the length and breadth of history. 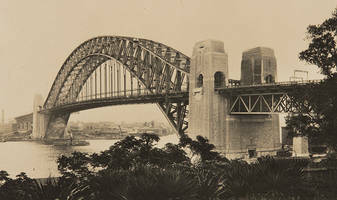 One of the capital’s most famous and important features and landmarks, Sydney’s Harbor Bridge celebrates its 86th birthday this week. US-Cuba relations have hardly been cosy as history tells us – but then-President Barack Obama would visit the country, a first since 1928, two years ago this week. Popular music has a lot to thank rock n’ roll for – without it we wouldn’t have had stars such as Elvis Presley becoming household names. This week, 66 years ago, the Moondog Coronation Ball – thought to be the first-ever rock n’ roll concert – opened at the Old Cleveland Arena. Ever seen a waterfall stop… falling? This odd idea became a reality 115 years ago this week, as the majestic Niagara Falls bizarrely found itself dry up – with a major drought in the area to blame. It’s always interesting to look back at the origin of words – and, apparently the first use of the phrase ‘OK’ (as is) can be dated back to March 23rd 1839 – with the Boston Morning Post using an abbreviation of ‘oll korrect’. A momentous day in civil rights history in Canada – as black citizens were given the right to vote for the first time 181 years ago this week. 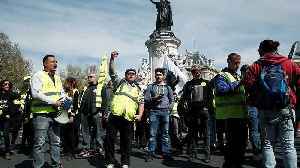 March seems to be a very liberating month on the whole – as British Parliament, on this day 211 years ago, declared that all slavery to be banned – and that financial penalties should be applied if rules were to be broken. 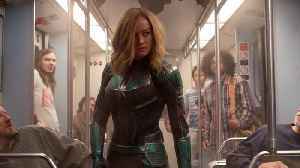 Stick with One News Page for more time travelling next week – as always! 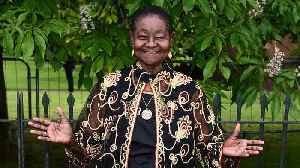 Rose, 78, made history this year as the music festival's oldest performer in its history as well as its first calypsonian booked for a full set. Before she takes the stage again this Friday, here's.. Hundreds gathered downtown Tuesday afternoon for the 7th annual Kern County District Attorney Crime Victims&apos; Rights March at the Liberty Bell. Kern County District Attorney Cynthia Zimmer.. 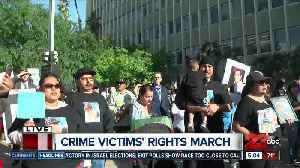 Hundreds gathered downtown Tuesday afternoon for the 7th annual Kern County District Attorney Crime Victims' Rights March at the Liberty Bell. 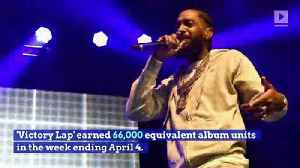 Kern County District Attorney Cynthia Zimmer says she's..
Nipsey Hussle's 'Victory Lap' Returns at No. 2 on 'Billboard' 200 The rapper returned to the 'Billboard' 200 album chart following his death last week. Hussle's debut studio album originally debuted..